Tamkey brings a wealth of experience and practical knowledge to the Lojong Meditation school, having studied Tibetan Buddhism extensively since the age of 16, originally heralding from the Amdo region of Tibet. At 19, he took the long journey by foot across the Himalayas to Dharamsala to be near HH the Dalai Lama, and to further his monastic studies in Buddhist Tantra. There he became a scholar & published several books on Buddhist Philosophy. He taught Buddhist history, philosophy and practice to the younger monks at Kirti Monastery, and was the editor of the Monastery publications. 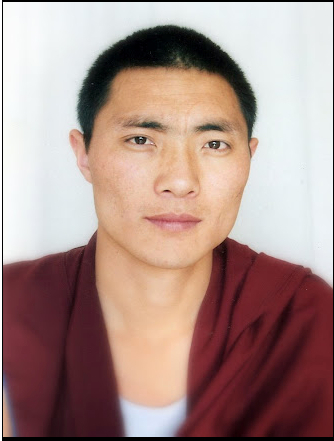 Tamkey also studied Tibetan Traditional Medicine at Chagpori and is qualified in Tibetan massage. In 2012 Tamkey made the decision to become a layperson. With both extensive monastic knowledge and experience living within the Western culture, he’s perfectly positioned to understand and explain Buddhist teachings in an accessible, no fuss way. It’s his goal to help students use these teachings daily, to bring purpose, contentment and awareness to themselves and others.